When I was a youngster I was fascinated by Antarctica, that was a remote magical place on the far edges of everywhere. My uncle Paul who lectured Geology at Victoria studied in the Wright Dry Valley in Antarctica. He came to tell my primary school class about working in Antarctica. That was in the sixties before climate change was in our reality. Last week we enjoyed Dancing with Motzart with the Royal New Zealand Ballet, I didn’t know much about the second piece, Antarctica put together by Cory Barker. It turns out he loves dance and understands the fragility of human systems. In an interview with TVNZ he said, “This planet will change, it’ll just mold its way out, we’ll just be kicked off it. That’s the really big concern, and what I want to address through the art-form I’m really passionate about.” Cory understands the risk unlike so many who talk about saving the planet. The planet is not at risk, we are. The dance I watched last week was in response to his concerns about human impact on Antarctica. That is a big thing. What I now know is that the performance I watched was his second Antarctica focused choreography. 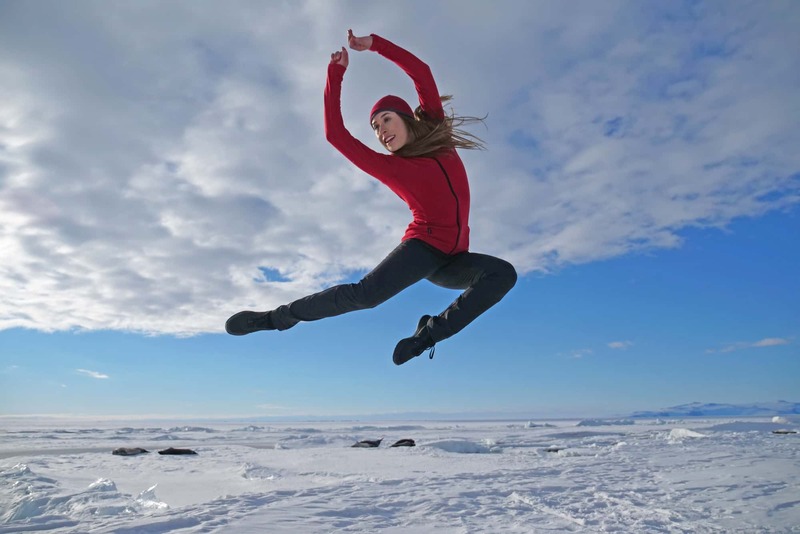 His vision and skill created the first dance video from Antarctica. It is a wonderful story. Cory wanted to organize the first dance video in Antarctica and approached Antarctica New Zealand… They thought he was “bonkers” and enthusiastically supported him. I have not heard where the money came from but he found Madeleine Grahaman an amazing RNZB ballerina to dance and a videographer; with a drone, and I don’t know what else… and made the film. That is vision, imagination, and organization. I’m impressed. The film is a remarkable piece of art and science; science communication at its best and awesomely beautiful. Please enjoy. My uncle would have loved to see this. Antarctica: The First Dance the link is below; as is a link to the TVNZ interview. Please watch both, they are great. This entry was posted in Art, Beautiful, cooperative, creativity, healthy, music, nature, Uncategorized and tagged beautiful, beauty of the world, sensuality. Bookmark the permalink.